CMS will implement a new survey process starting in November 2017, which means F-Tags as we know them now are going away. Beginning Nov. 28, 2017, all states will see a different kind of survey, a new computer-based process designed to improve the efficiency and effectiveness of both Traditional and QIS surveys. This free on-demand webinar will provide you with details of the new survey process and what your facility should do to prepare. Mary Madison is a registered nurse with over 44 years of experience in the healthcare field, including 40 years in long-term care. 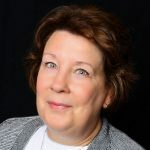 She has held positions of Director of Nursing in a 330-bed SNF, DON in two 60-bed SNFs, Reviewer with Telligen (Iowa QIO), Director of Continuing Education, Manager of Clinical Software Support, Clinical Software Implementer and Clinical Educator. Mary has conducted numerous MDS training and other educational sessions across the country in the past two decades. Mary joined Briggs Healthcare as their LTC/Senior Care Clinical Consultant in July 2014.